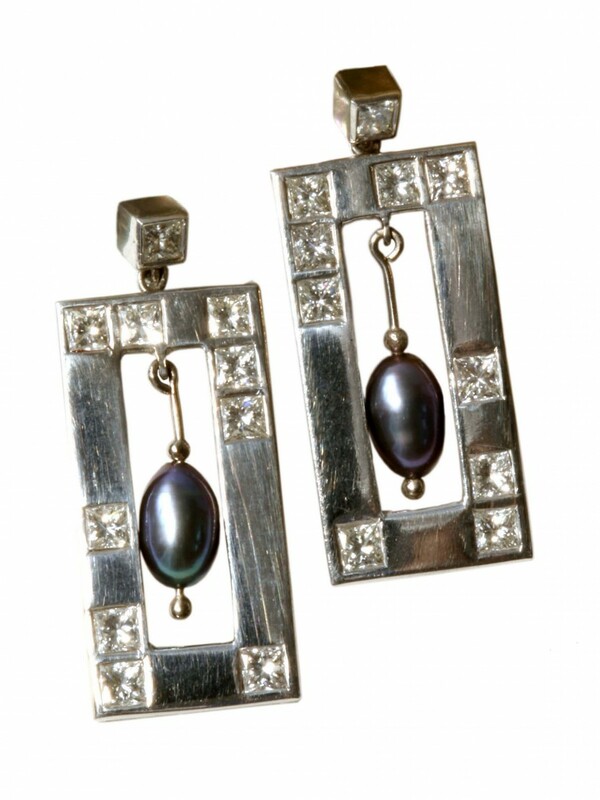 10 white princess cut diamonds on each earring with black pearls set in 18ct white gold rectangular hoops. 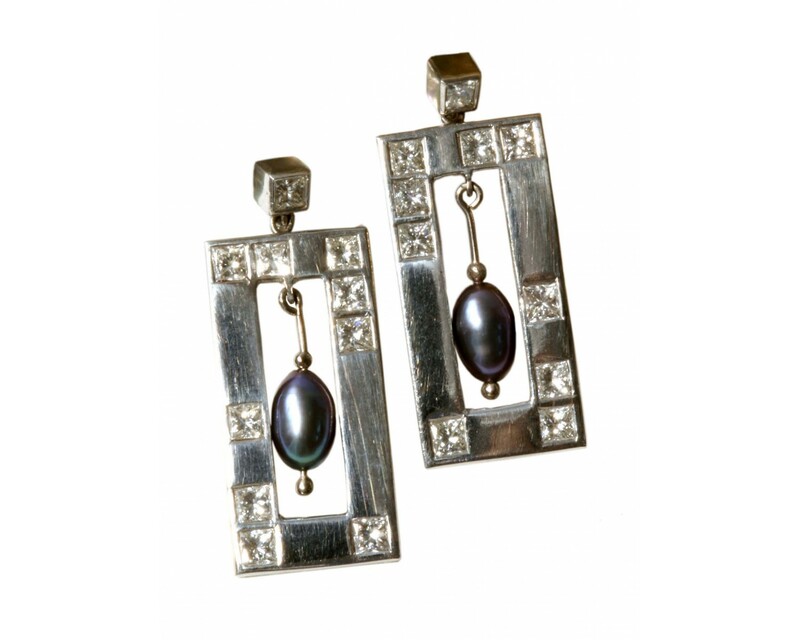 These earrings are a superb modern deco classic. 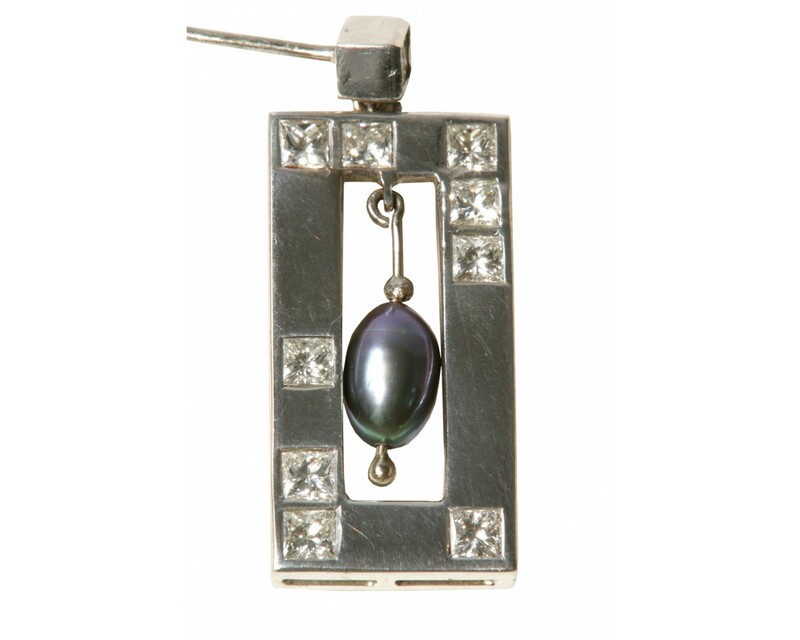 The 10 princess cut diamonds are randomly placed around the 18ct white gold rectangular shaped hoops with a high lustre black pearl swinging from the central axis. 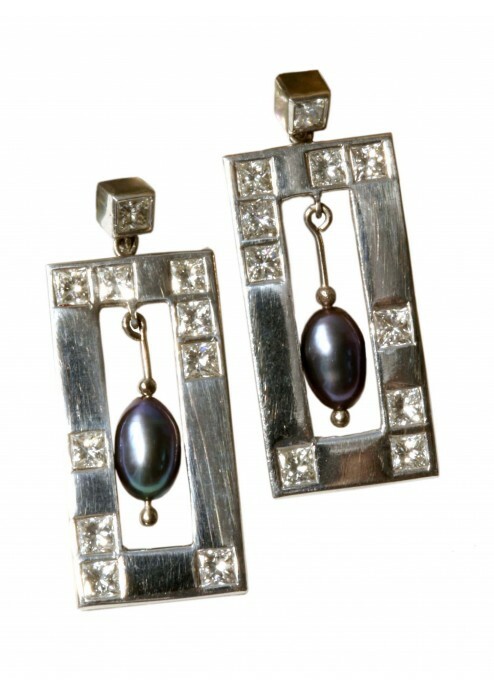 They are sublimely elegant and a great investment.